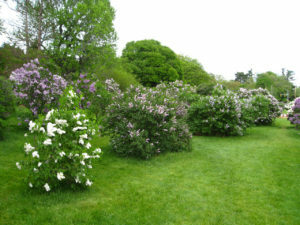 This year the Lilac Festival seemed to come before the lilacs peaked, and was a little rainy, but that’s good for me, as I visited the park a full week after the closing day, and the flowers and lilacs were just past peak bloom. 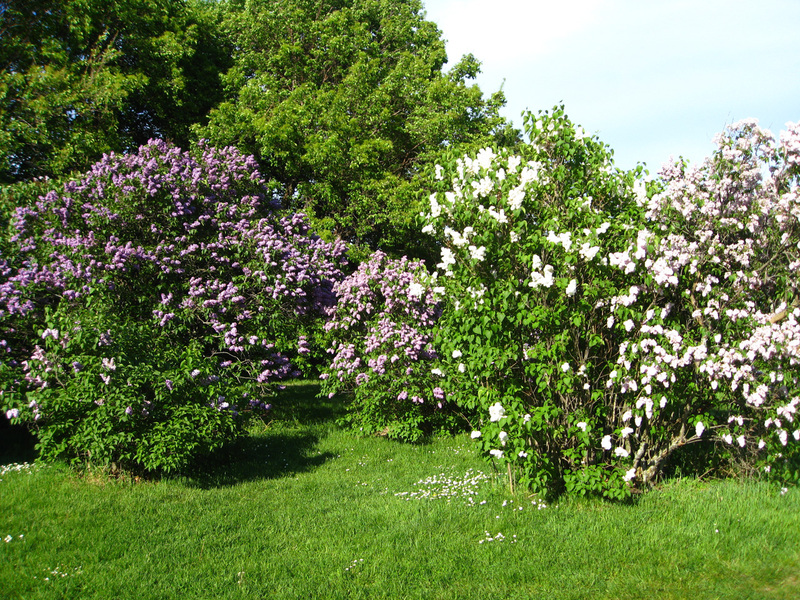 It was pretty nice, as everything seemed to be blooming on Saturday June 24th this year. 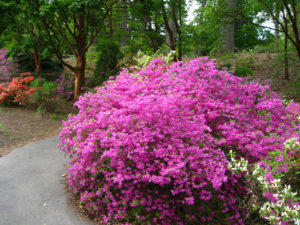 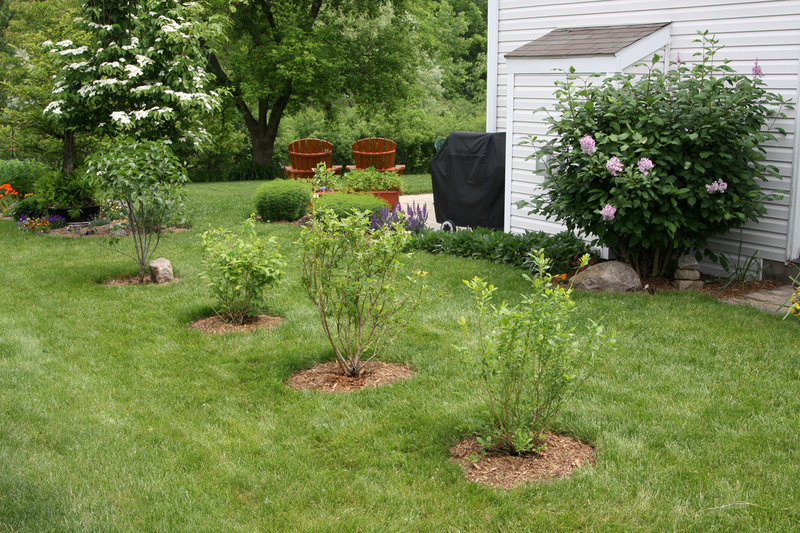 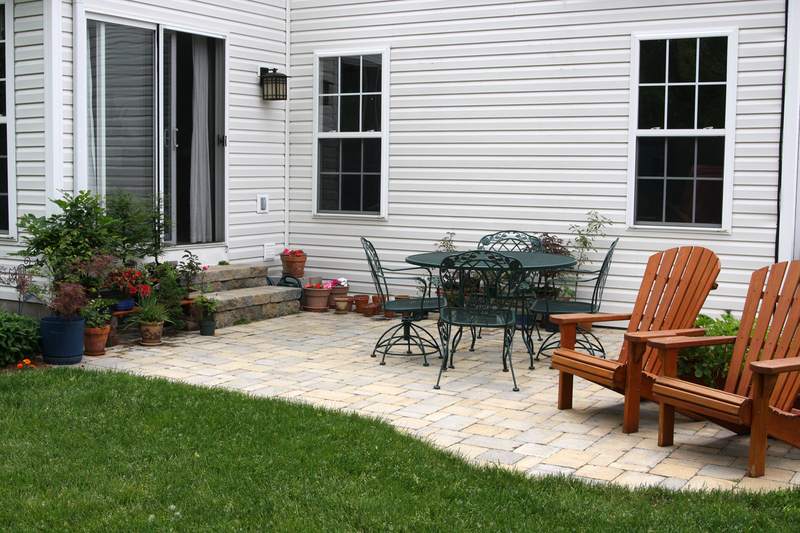 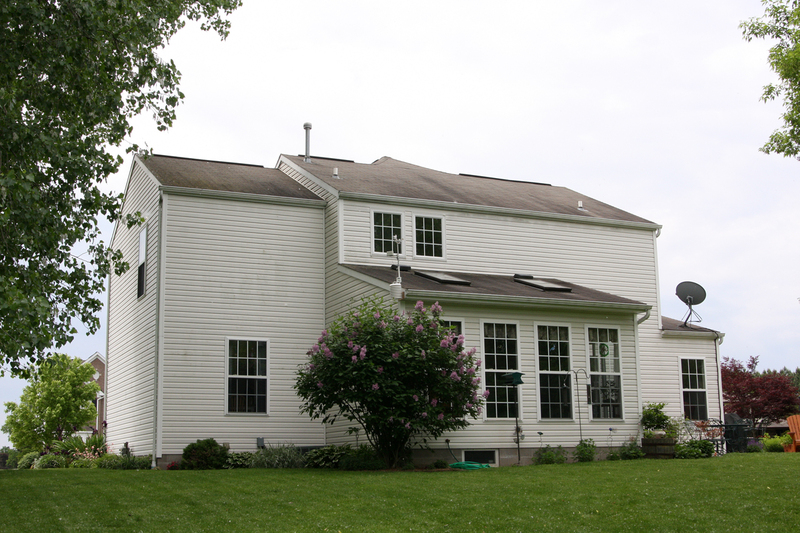 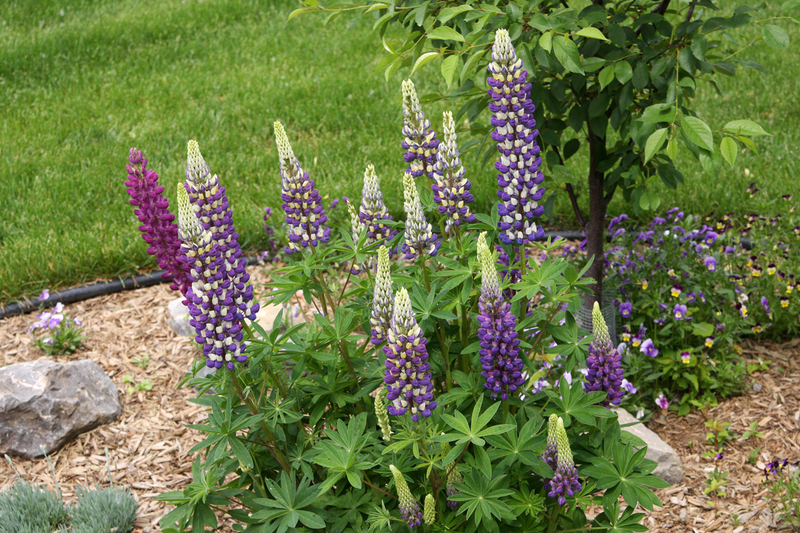 Lilacs, Azaleas, Peonies, Dogwoods, and even a few Magnolias were still blooming. 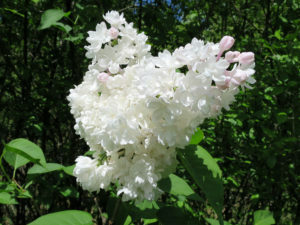 About all that wasn’t blooming was the lilies, and ours bloomed a day or two later at home. I walked around the park for a few hours and spotted a few of my favorite lilacs that made it through another year, including the yellowish primrose. 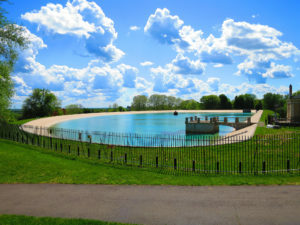 It was a nice day, the park is really nice and well thought out. 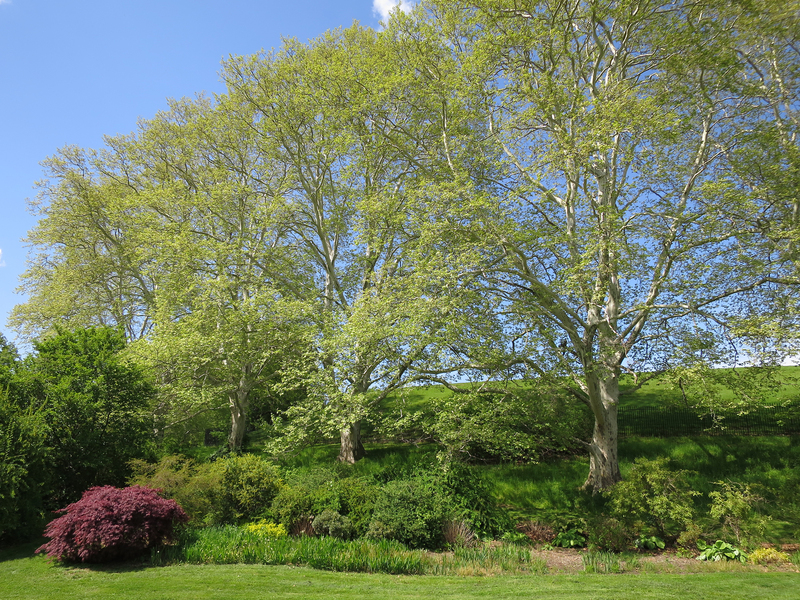 The giant sycamore trees that surround the reservoir are really huge, and way cool. Here’s a few photos. 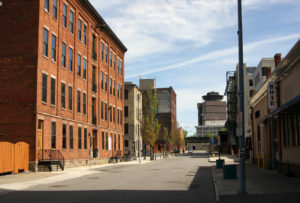 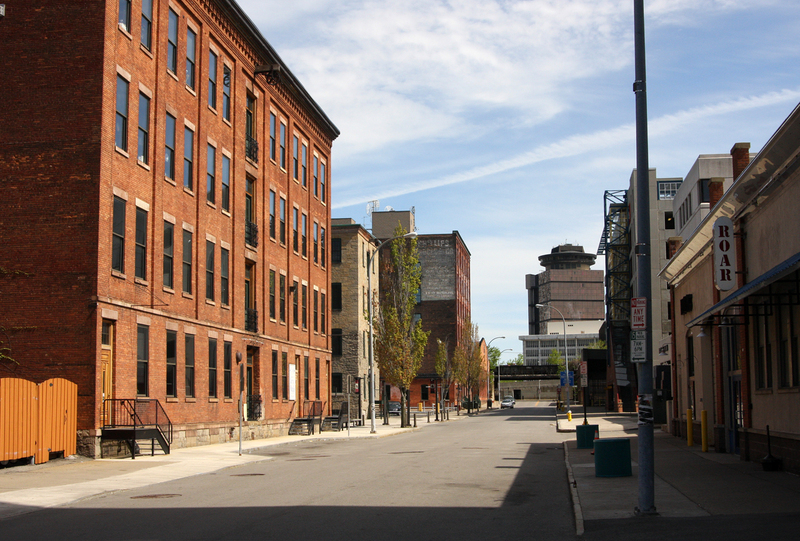 Spring turned out really well here in Rochester. 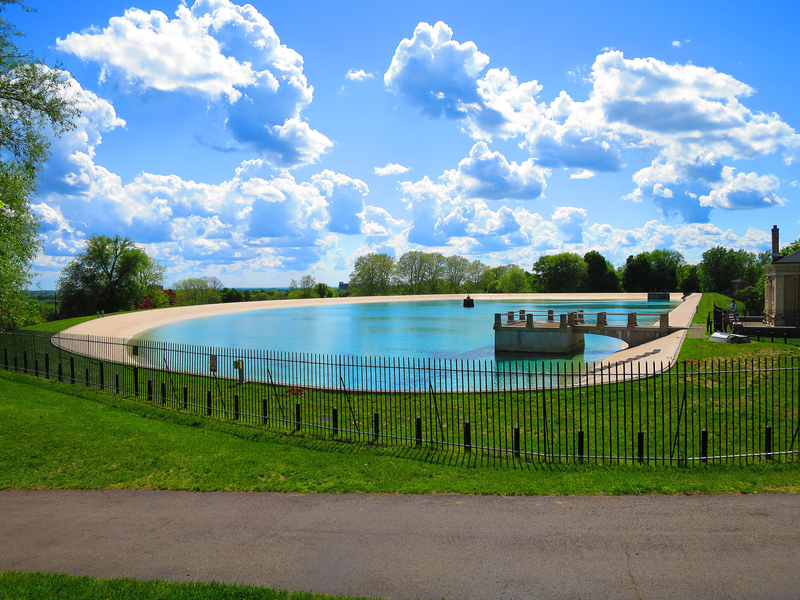 It was a little cool, but mostly sunny. 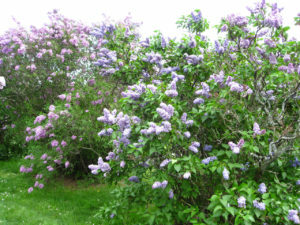 I think this was perfect lilac season, as our lilacs started blooming around the 16th of June, and they are still blooming 2 weeks later. 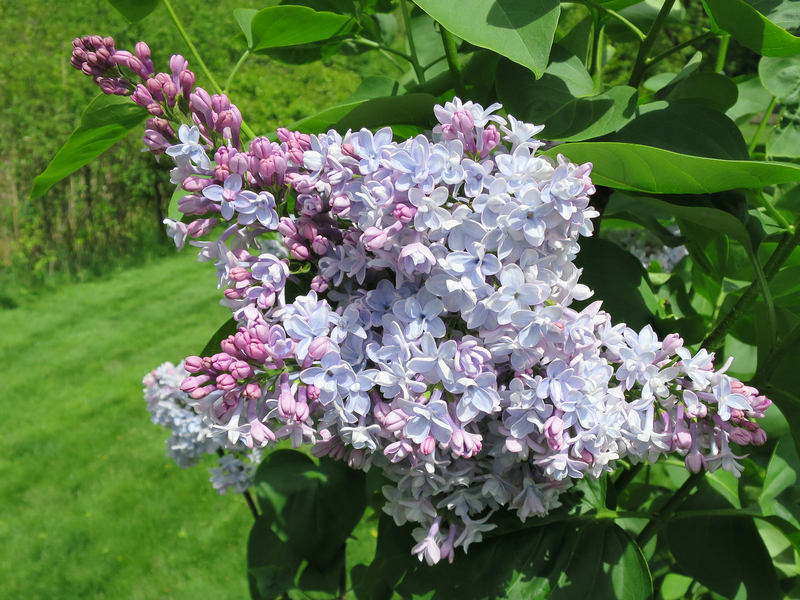 We got a lot of really nice blooms this year, and our one lilac (the primrose) that got hit with the pesticide last year is growing bigger than ever. 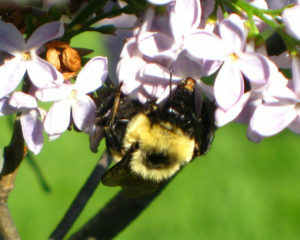 Looks like a full recovery. 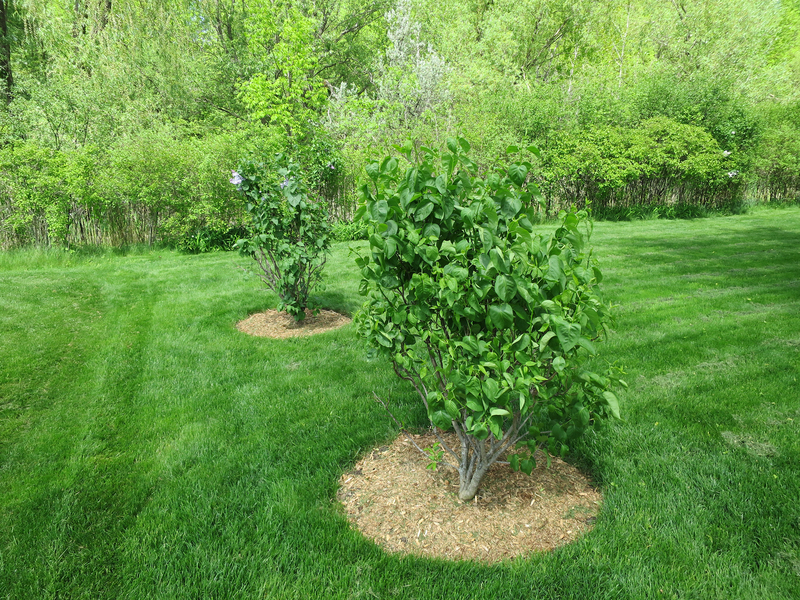 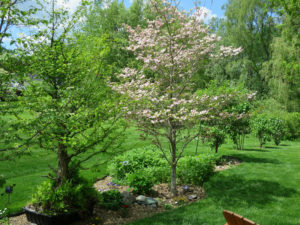 Our cherry trees and dogwood we planted last summer survived the winter and are doing great. 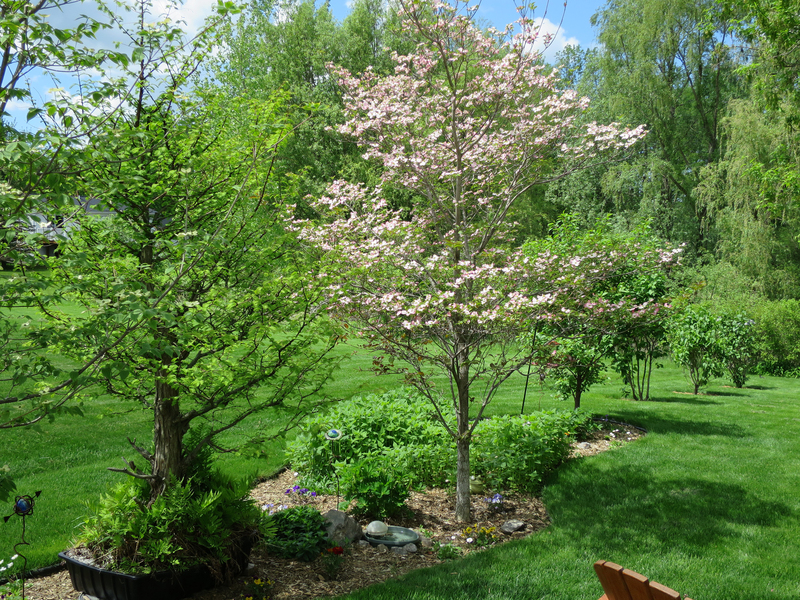 Everything is blooming and still looks nice. Our blueberry plants made it through the winter too, and this year we planted some pepper plants and a watermelon too. Here’s a few photos. 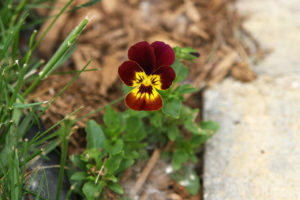 Finally getting back to posting a few picks on the ScaredyCat site. Its been a busy summer, with most of my photos going directly to flickr. 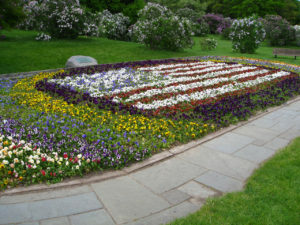 But with a little time on my hands, I’ll try and post a few here. 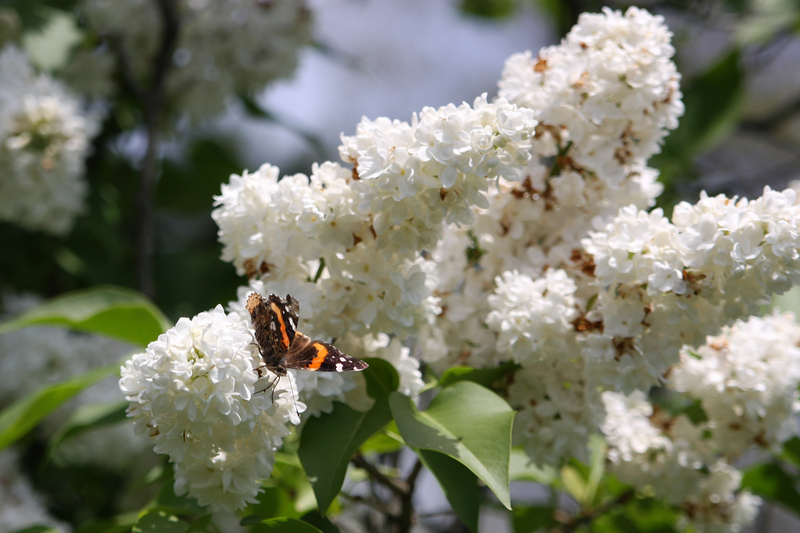 So to start, I have a few photos I took around the yard this spring/summer. 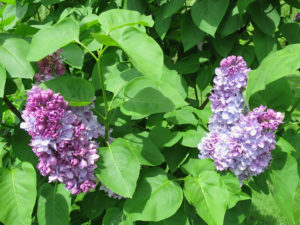 These were taken at the end of May. 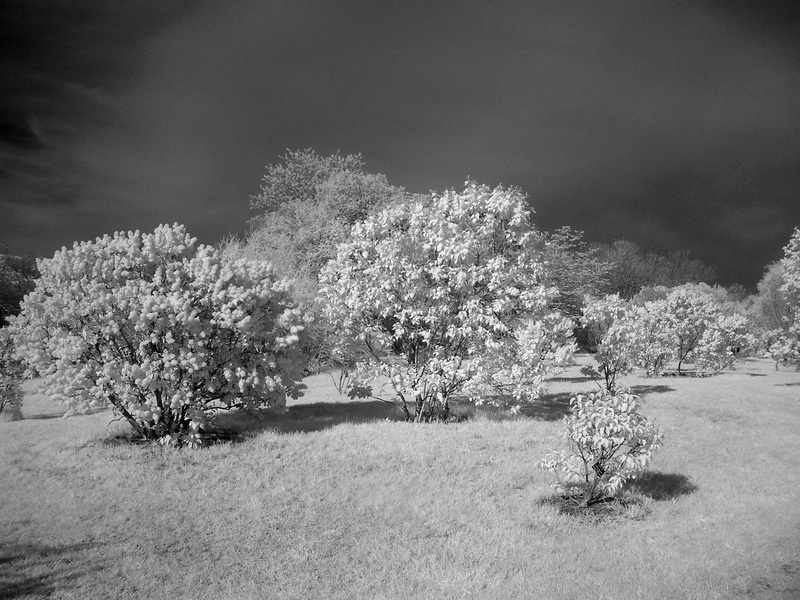 The cottonwoods were in full effect. 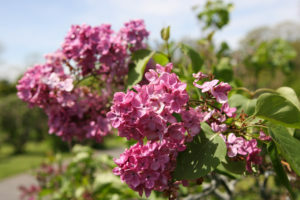 Because of the freakishly warm spring this year (in Rochester, March was our warmest on record, and the average temperature was higher than the April average), this year the lilac festival peaked a whole week earlier than the festival (May 10-19). On a beautiful sunny Sunday I went to Highland Park to view the lilacs early, and then home for the Kentucky Derby. 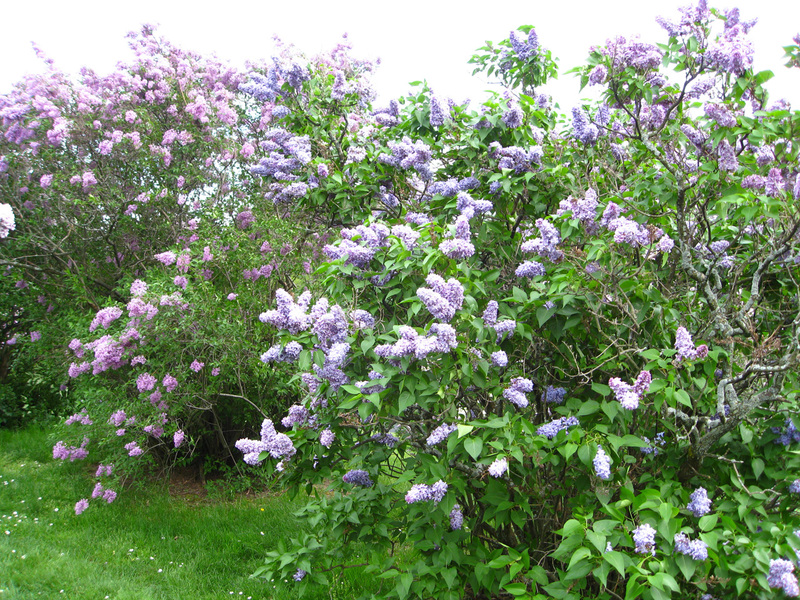 The lilacs were pretty much in peak bloom. 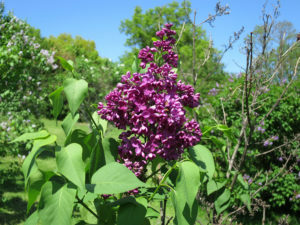 Even the lilacs in our yard were blooming. This year the Rochester area also saw a massive influx of Red Admiral butterflies. There were tons of them. 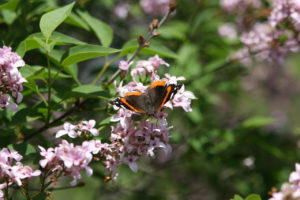 I’ve never seen anything like it, they were flying everywhere like flies. 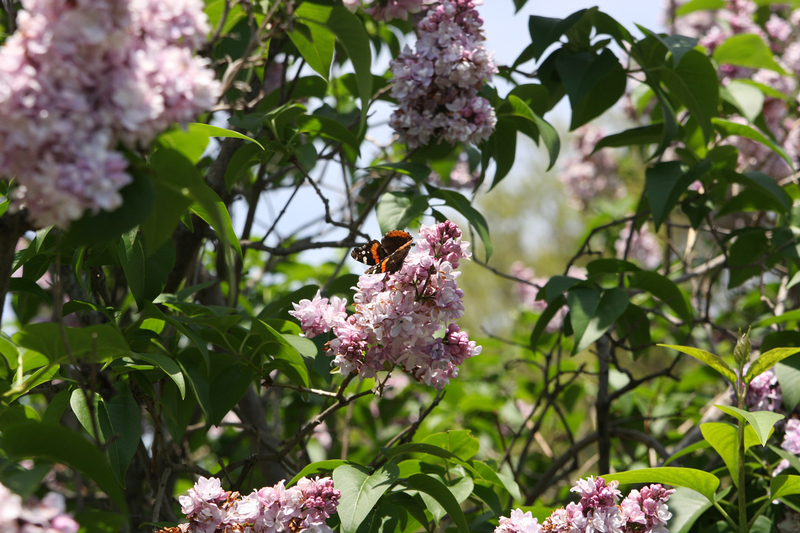 Anyway, took lots of photos of the lilacs, and butterflies on lilacs. 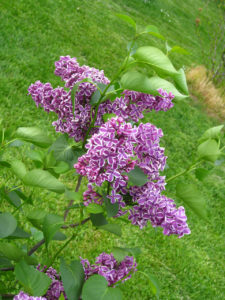 The majority of the lilac photos are in my lilac flickr gallery. Pink lilacs at Highland Park. 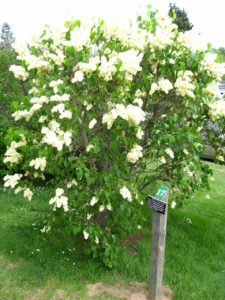 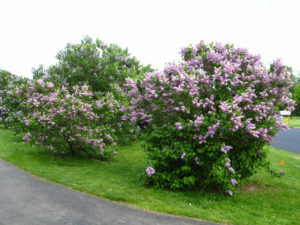 Lilac bush at Highland Park. Red Admiral on a white General Sheridan lilac. 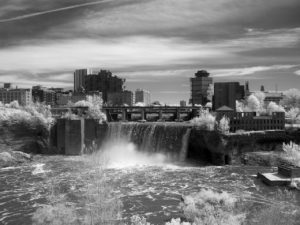 After my walk through Highland Park, I went downtown to High Falls, and walked across the Pont de Rennes bridge to the baseball stadium and back. 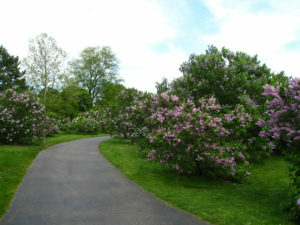 Here’s a few photos from that walk. 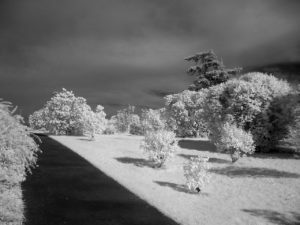 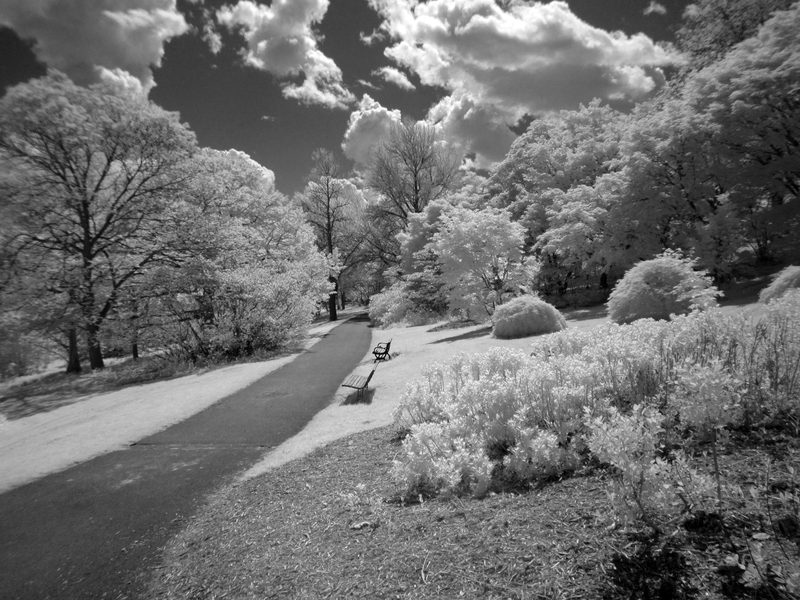 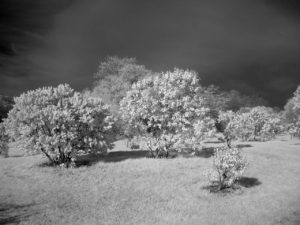 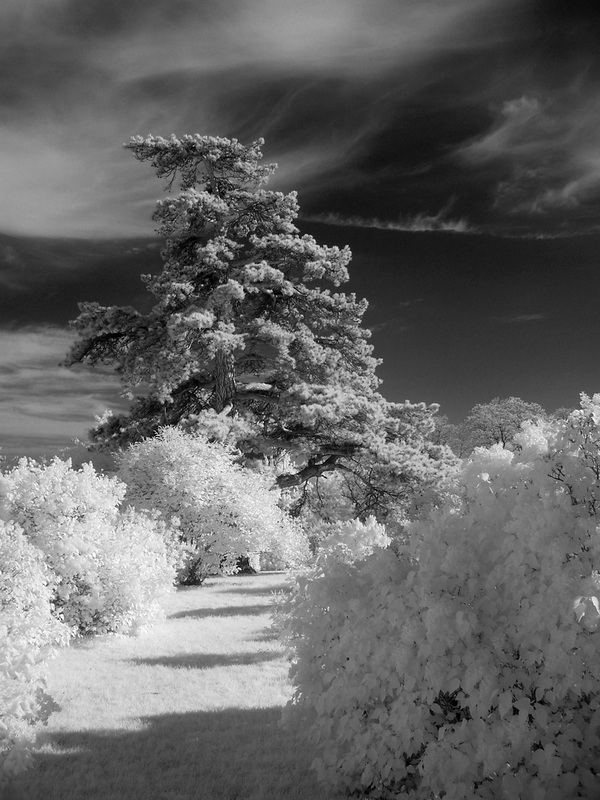 I have a lot more photos of the falls in infrared on my infrared flickr page. Spring got here almost a full month early, and the plants and flowers are all blooming way early because of it. I took a chance to get out of work early on a beautiful day to head to Highland Park to look at the lilacs. 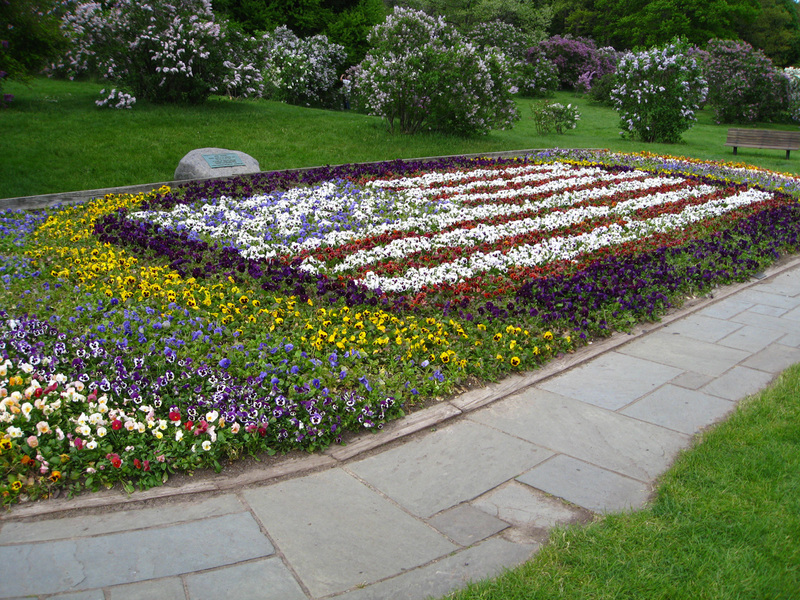 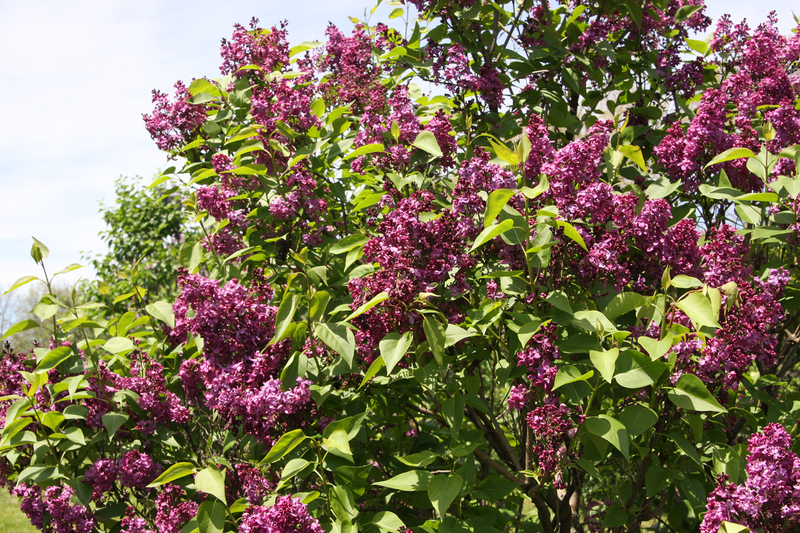 They are in peak bloom despite the fact that the Rochester Lilac Festival isn’t until May 14-23rd. 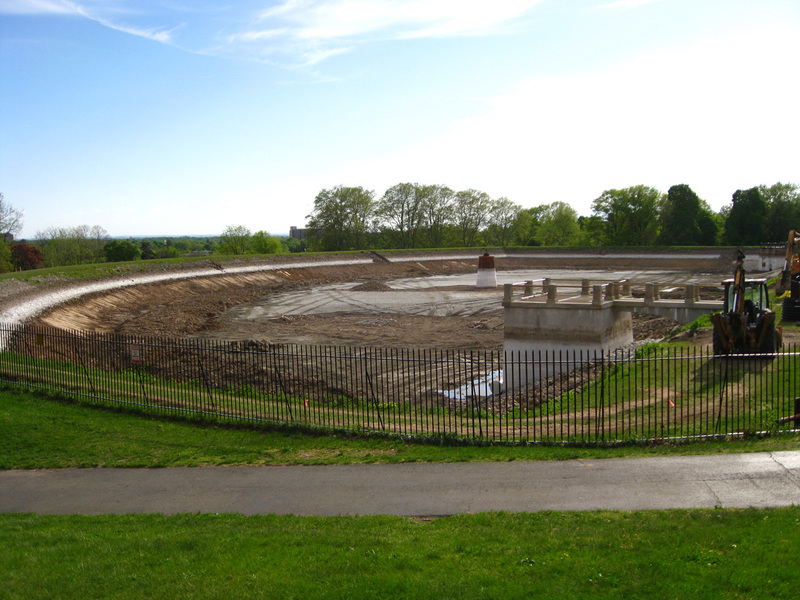 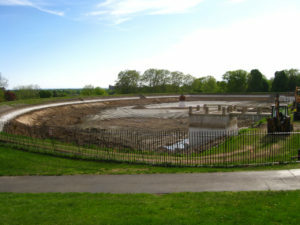 These photos were taken May 3rd, 2010. In 2008 I visited Highland Park on May 24th, and the Lilacs were in peak bloom, so there is quite a wide range of time for the flowers to bloom depending on the spring weather. 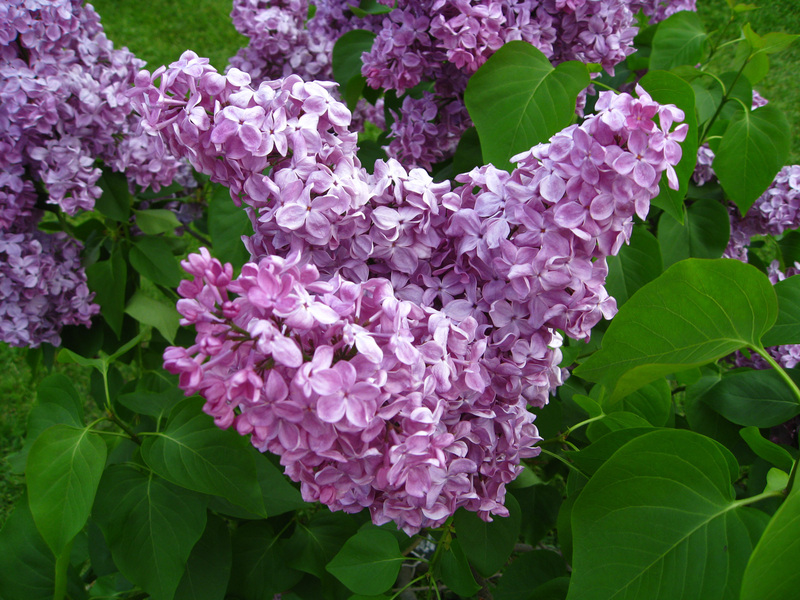 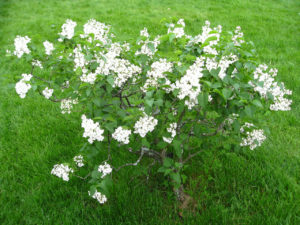 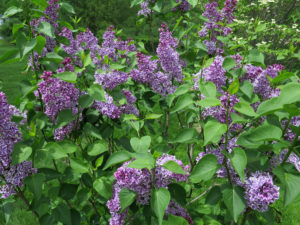 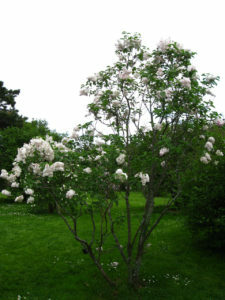 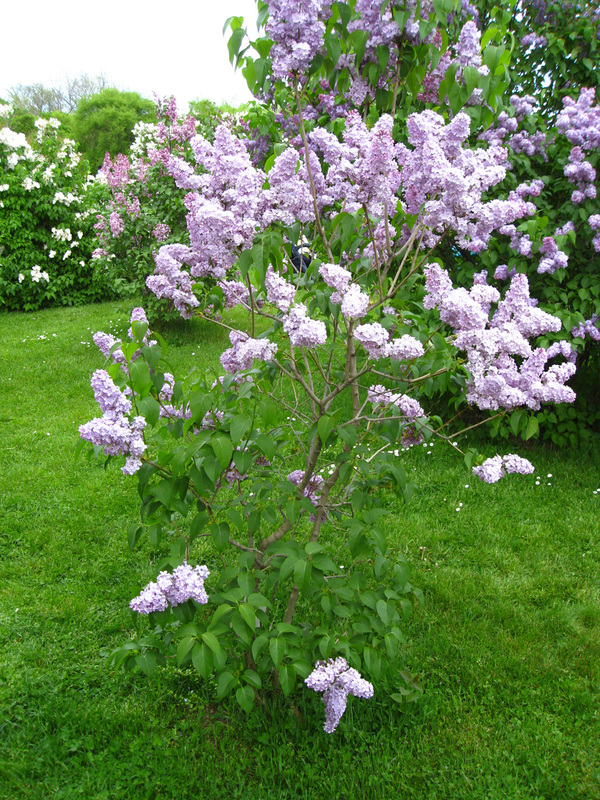 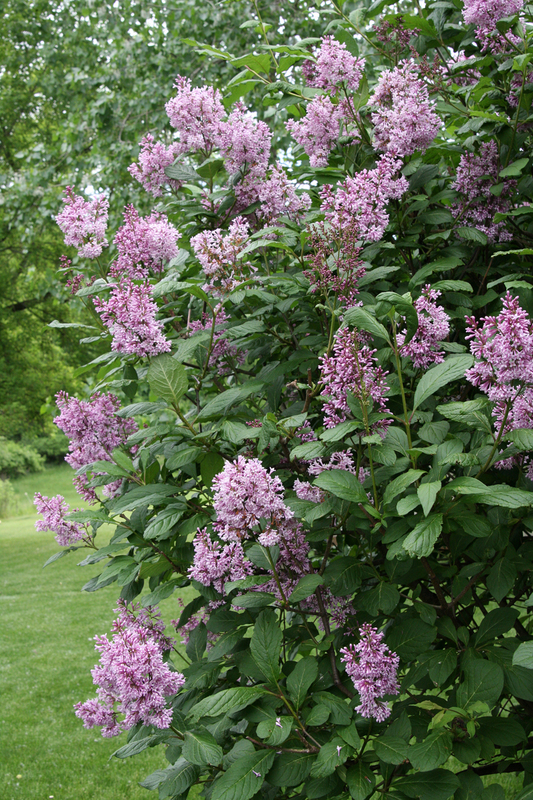 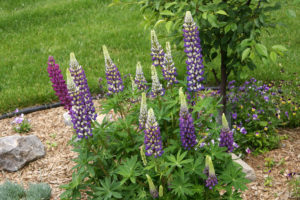 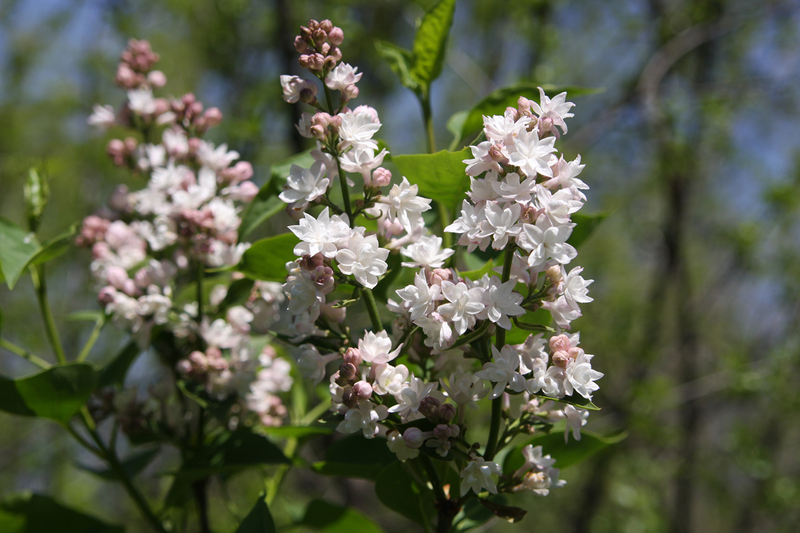 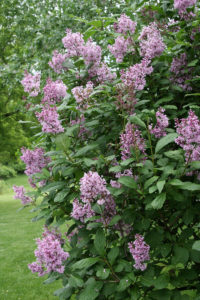 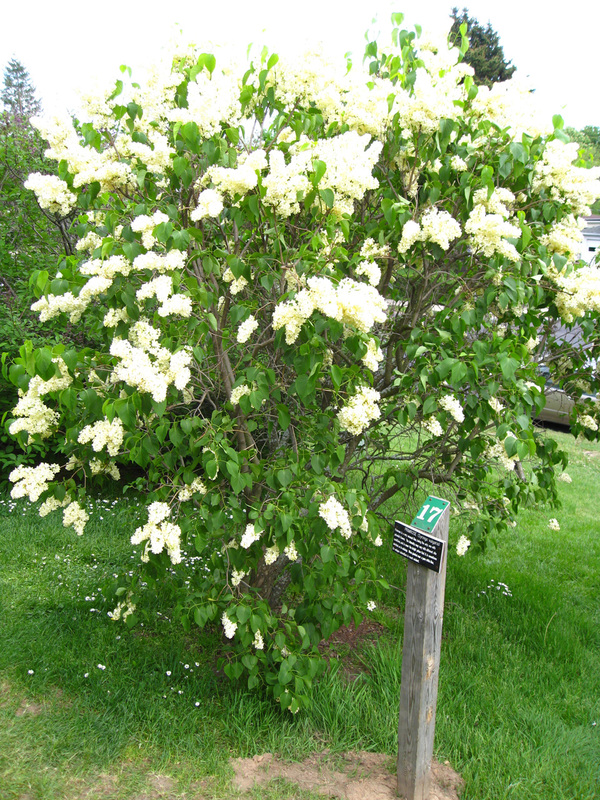 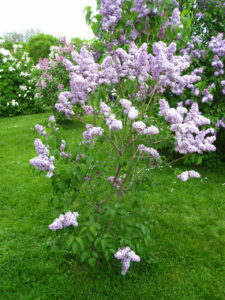 Learn more about the lilacs at the the Lilac Festival Home Page. This year we had a really early spring, and the majority of the plants and trees are at least 2-3 weeks ahead of schedule for blooming. 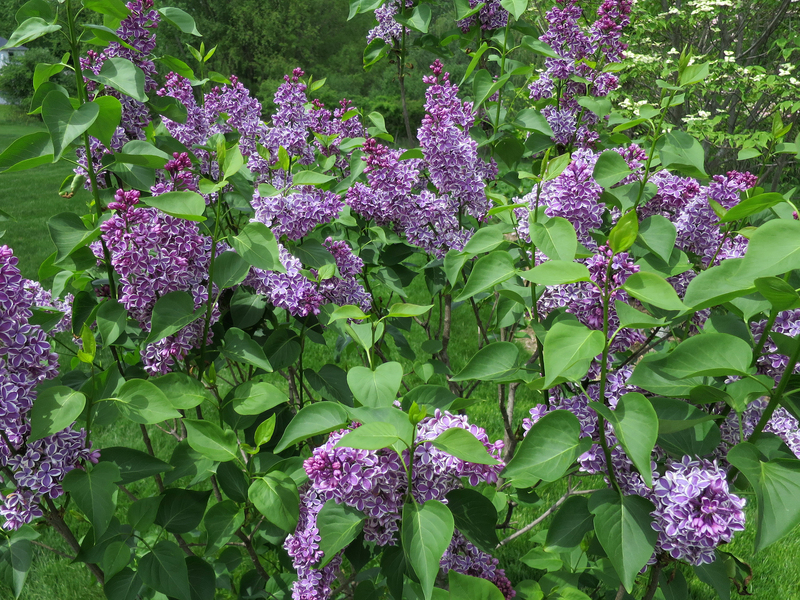 I took this early opportunity to drive to Highland Park in Rochester, NY to look at all the varieties of lilacs while they are in peak bloom. 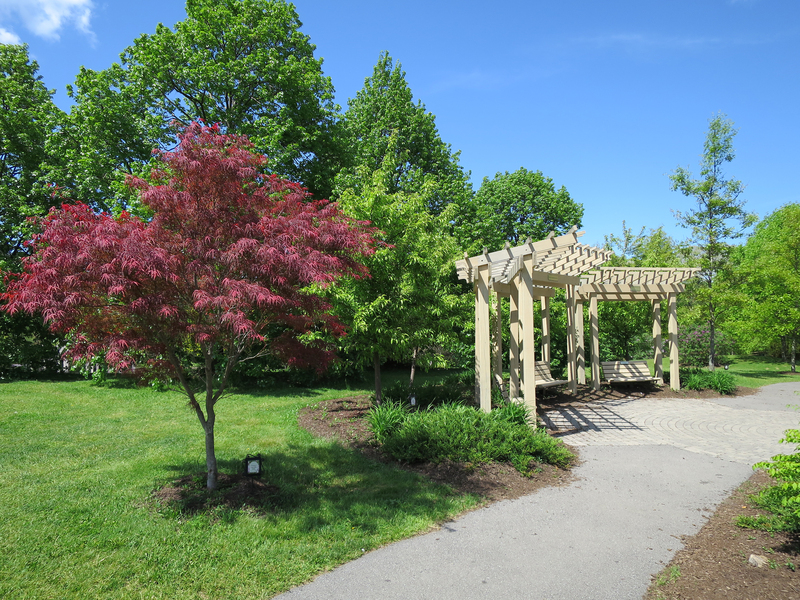 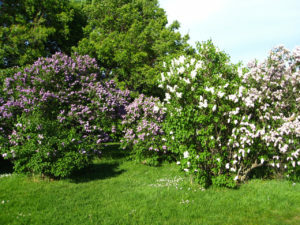 The Lilac Festival itself isn’t until May 14-23. 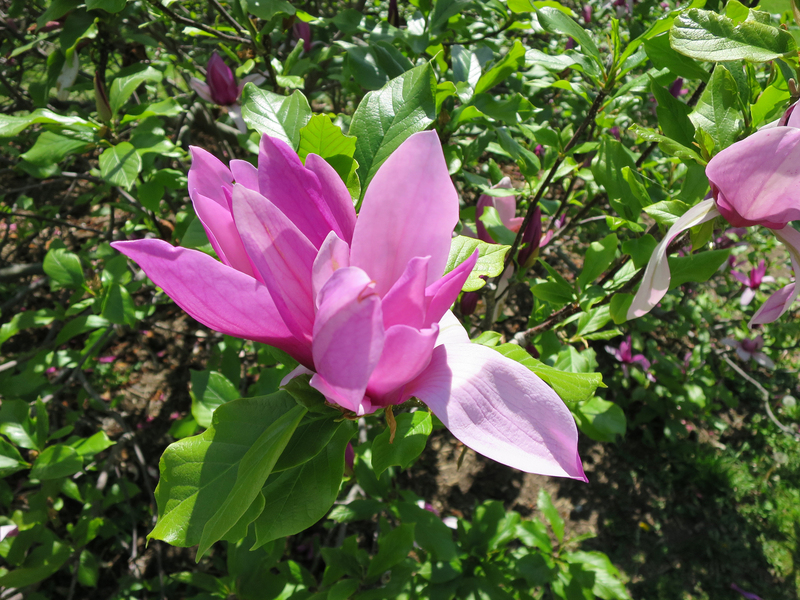 I am not sure there will be many left blooming at those times. 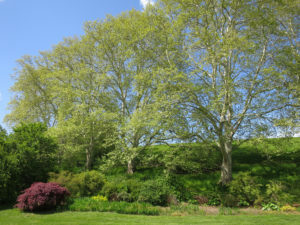 The park is really amazing, and boasts one of the largest collections in the world. View my lilac gallery here.